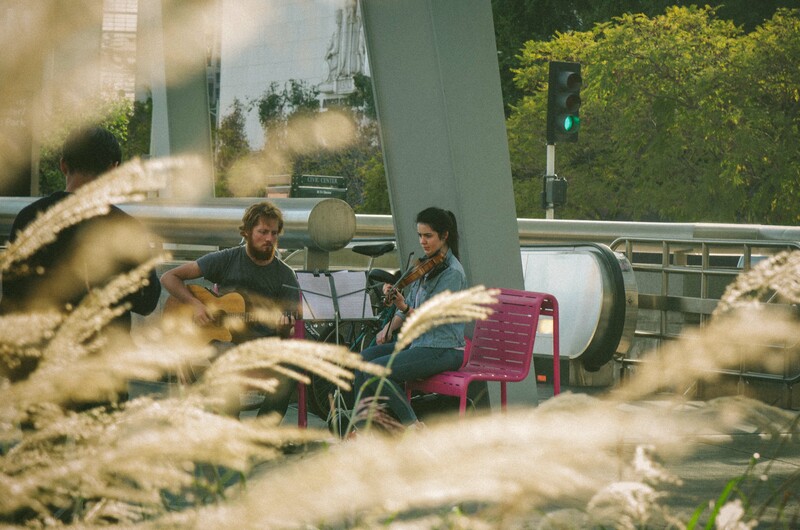 ART OF TRANSIT: Bach outside the Civic Center/Grand Park station last Friday. Photo by Steve Hymon/Metro. The operator of the train that crashed into a platform and escalator early Monday admitted to falling asleep and that in February she had fallen asleep, resulting in her train missing a stop. Video has also surfaced from the crash, apparently from a security camera at the station. Scary. Opposition to installing protected bikeways along Figueroa between downtown L.A. and Exposition Park is beginning to melt away. That’s great news for cyclists and for Metro; the Expo Line parallels the (hopefully) future bike lanes and connecting transit and high quality bike lanes would be super awesomeness, correct? The group Lava Mae — dedicated to providing showers and toilets for the homeless in San Francisco — has purchased for old buses in San Francisco and converted them to vehicles with showers and restrooms that homeless can use. Above is the group’s video. Someone should create a template for articles on streetcar projects that begins with the headline “Skepticism dogs XXXX streetcar plan” as streetcars and skepticism go hand-in-hand! In this case, OCTA Board Members are asking if there’s a fundamental difference between a bus and a streetcar besides the $238-million price tag attached to this project. Streetcar supporters usually argue that putting tracks in the road lets everyone know this is a dedicated transit route and that, in turn, encourages development and/or redevelopment. Excerpt: “State Sen. Nicholas Scutari announced his plan Monday, acknowledging that opposition from Gov. Chris Christie could seriously hinder it but pointing out, “He’s not going to be governor forever.” Enough said. Speaking of roads in New Jersey, today’s musical interlude (NSFW if your boss is a Springsteen non-believer). Has METRO pulled historic resource demolition permits that are specific to such LA Union Station features like the train announcement board (ca.1947?) and gates E&F? Or is METRO demoing under general guidelines. Have public meetings been held to address the demo of these specific historical resources? Metro has worked closely with the LA Conservancy and the City of Los Angeles’ Office of Historic Resources to review our plans for the train announcement Board and Gates E&F. The plan for removal and storage of these items has been developed by, and is under the direct supervision of, our consultant historic architect, ARG (Architectural Resources Group). We have followed all jurisdictional requirements for removal and storage of the sign and gate. Has a public meeting been held to allow citizen input on the future of the Union Station historic artifacts now being removed? About 15 years ago, many LAUS historic building artifacts were dumped in the LAUS dumpster. Afterwards, some were recovered by so-called “dumpster divers” and sold at private auction. I know because I witnessed it. Is anyone at METRO aware of this? How can the public trust that this will not happen again, during METRO’s watch, without direct public oversight? A mixed flow streetcar for Orange County, with all the drawbacks of buses but none of the advantages (other than smoother acceleration, perhaps), makes no sense. You could spend the same money and fully build out the Bravo system on Harbor, Westminster/17th, Bristol, and Katella as has been proposed before. BRT-Lite qualifies for densification incentives under SB 375 and offers much of the same benefit for much less cost. Or, go full bore with high platform, signal preemption, light rail like Los Angeles is doing. But not this half hearted stuff. In June, 2013, the OCTA balks at Anaheim streetcar plan too. “The City of Anaheim invites the public to participate in the Draft Environmental Impact Report (DEIR) by attending one of two public meetings scheduled for Tuesday, Jan. 14, 2014. The DEIR will be prepared in accordance with the California Environmental Quality Act (CEQA) and in cooperation with the Orange County Transportation Authority (OCTA). Hopefully, the OCTA will work with Santa Ana too. DON’T CTA “L” CABS HAVE DEADMAN SWITCHES?!? After I watch the video ( http://www.youtube.com/results?search_query=o'hare%20airport%20train%20crash&sm=3 ), will Metro going to build walls at the end of each line to prevent this sort of accidents from happening in L.A. just in case of human or mechanical failures. Building a wall at the end of the Gold Line should be a good investment to prevent trains from running onto Atlantic Blvd. if anything bad happens. It could be a disaster if it happens in L.A. because the streets here are much more busier than the escalator at O’Hare. Yet another Bruce Springsteen video. Can you please explain to Source readers why one person’s musical tastes is justification for inclusion in an entire agency’s community blog? You’ve referenced him, along with your other personal interests in Cincinnati, the Sierra Mountains and other non-transit topics countless times. Explanation, please?